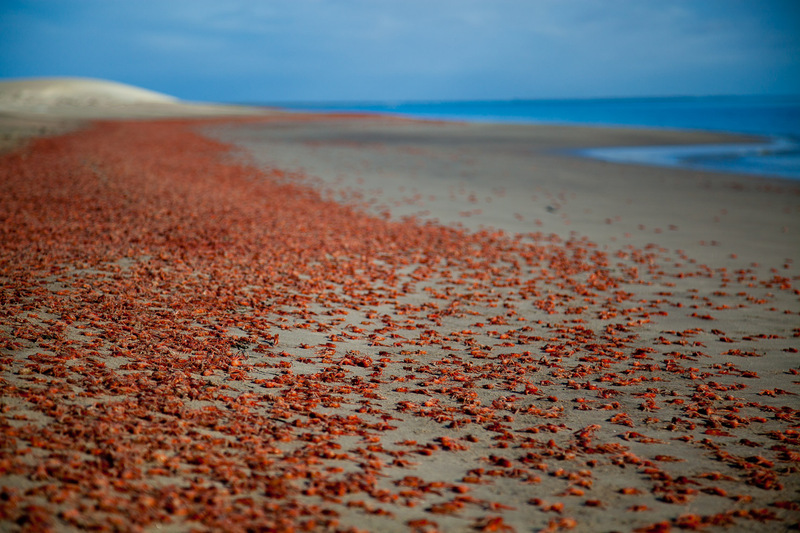 A red ribbon of Langostinos, otherwise known as red pelagic crabs, line the shore of Isla Magdalina. The crabs were washed on to the beach by a combination of high tide and wind. Sunrise lights up the sand dunes on Isla Magdalina.